Maria graduated from Wellesley College with a major in Biochemistry and a minor in Spanish. She was a Commonwealth Scholar at the University of Cambridge from where she holds a BA/MA (Law Tripos). Maria was called to the Bar of England and Wales as a member of Lincoln's Inn and was a recipient of the Hardwicke Award. Subsequently she has worked in leading international law firms in both London and New York. Maria is a Senior Partner at UTMPS and spends most of her time at the firm’s offices in U.A.E. Her practice focuses on Patent and Trademark work with a special interest in litigation and regional portfolio management for her clients. Maria is a member of INTA, AIPLA, ECTA and other leading IP associations. She has spoken at IACC and other international conferences as well as authored papers in various IP publications. 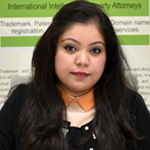 Maria is also an Adjunct Professor at LUMS (SAHSOL) where she introduced a course on Intellectual Property Law and Competition Law. Maria holds a Patisserie diploma from Le Cordon Bleu, London and enjoys baking and travelling in her spare time.